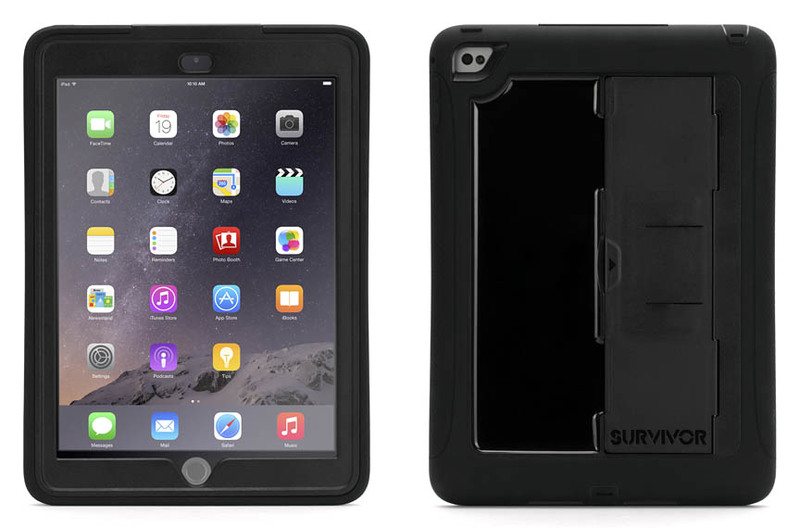 Survivor Slim for iPad Air 2 is the perfect blend of slim; multi-layer design and mil-spec rugged protection. Survivor Slim protects your iPad Air 2 from 2-meter drops using a shatter-resistant polycarbonate shell ringed with a silicone bumper. The bumper absorbs shocks and creates a non-slip grip when you carry it. 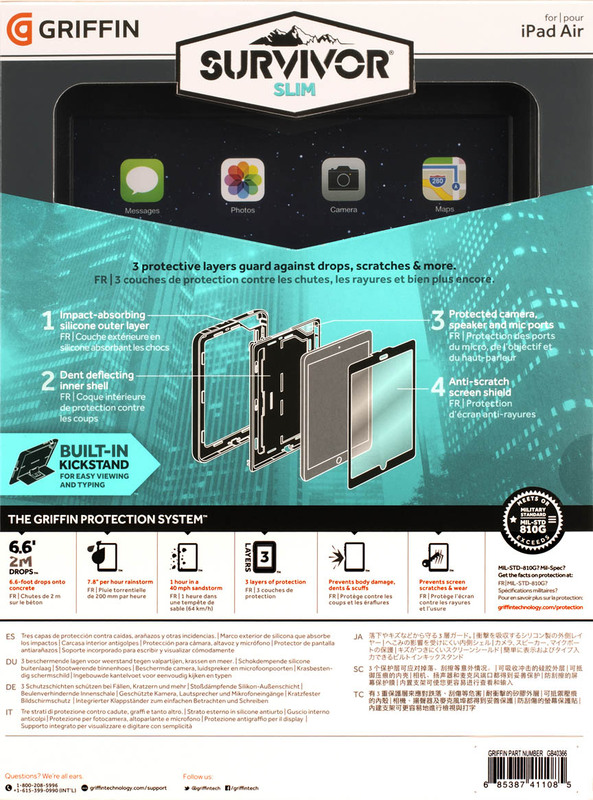 The touch-through screen shield protects your multi-touch display while you use it; and the built-in fingerprint scanner is fully accessible. All buttons are covered in flexible silicone to deflect windblown dust; grit and rain. 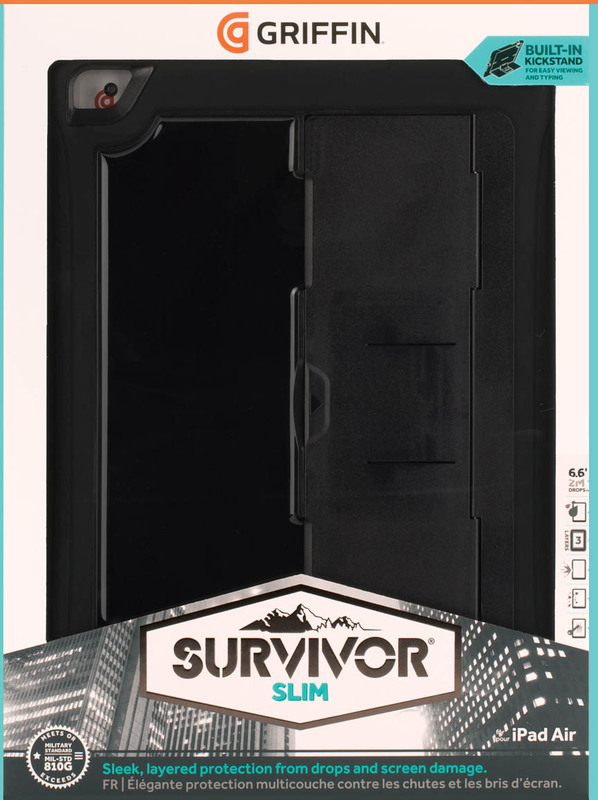 Survivor Slim's built-in kickstand flips open and locks in place to hold your iPad at the perfect angles for viewing video; surfing or typing.